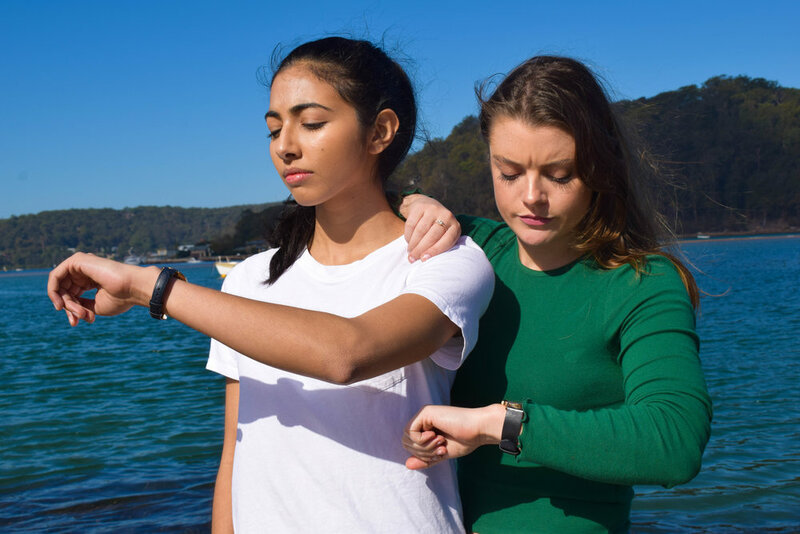 Representing four medical schools from across NSW, meet the students who are bringing GHC to life in 2019. The executive organising GHC 2019 lies in the very capable hands of Ceren Guler, a final year medical student at the University of Sydney. With a keen eye for overarching vision, an insurmountable passion for AMSA events, previous experience on AMSA conference executive teams, and an energy that can’t be tamed, you know that with Ceren at the helm, GHC 2019 is going to be quite unlike anything AMSA has ever seen. Tegan hails from the University of Sydney and is incredibly excited to bring GHC to life in Sydney in 2019. Working with her 3 portfolios; academics, publications and promotions and creative, Tegan hopes to bring an immersive and inspiring energy to the conference to create a unique delegate experience like no GHC before. Caviar tastes on a tin tuna budget is how the University of Sydney’s Michael enjoys his time. He takes on this challenge with the treasury of GHC 2019 to create an unforgettable conference without breaking anyone’s bank. Michael will be working with the Sponsorship portfolio to ensure that all delegates and sponsors have a value orientated, globally conscious experience. Jumaana and Zahraa are working to create a holistic and inclusive program that enlightens, empowers and, most of all, fosters a sense of community. Jumaana and Zahraa hail from UNSW and WSU respectively, and both have a vibrant passion for the global health arena. Their goal is to provide an enriching experience that is more global health oriented than ever, ensuring all attendees leave with renewed passion for global health, the skills to make actionable change, and the knowledge to do it in a sensitive, effective and sustainable way. Katie and Pragya are your logistics officers for GHC 2019. They are here to make sure you don’t have to worry about a thing once you get here and your whole GHC19 experience is a smooth one. Both hailing from WSU, they are fuelled by caffeine, a hunger for good food and a desire for you all to have the best conference experience of your life. With their combined attention to detail, passion for perfection and their love of lists, these guys are excited to be your go-to people for anything and everything. Maddie and Nick are both excited to be leading a dedicated team of sponsorship officers for GHC ’19. Maddie is from WSU and Nick hails from USYD, and both are keen to create a unique and enjoyable GHC experience for each and every company they connect with. They are both passionate about the environment and medical student advocacy. Jessie is heading up the risk department for GHC19 and loves nothing more than a good behavioural matrix and risk assessment. She also loves a good boogie on the dancefloor and can’t wait to share the magic of GHC with you all. This proud Western Sydney Wally has ideas as colourful as her personality. Eka's the name and the F’immersion day, Logistics and Social portfolios are her game. Eka is excited to bring together an unforgettable weekend in her hometown. She is working on creating a weekend that will challenge, engage and empower delegates to #makewaves long after GHC19 is over. Henness is the #wholesome in the #GHC19 mothership, looking after the crew members and the treasure chest. He is only one email away as your go-to person for any questions. 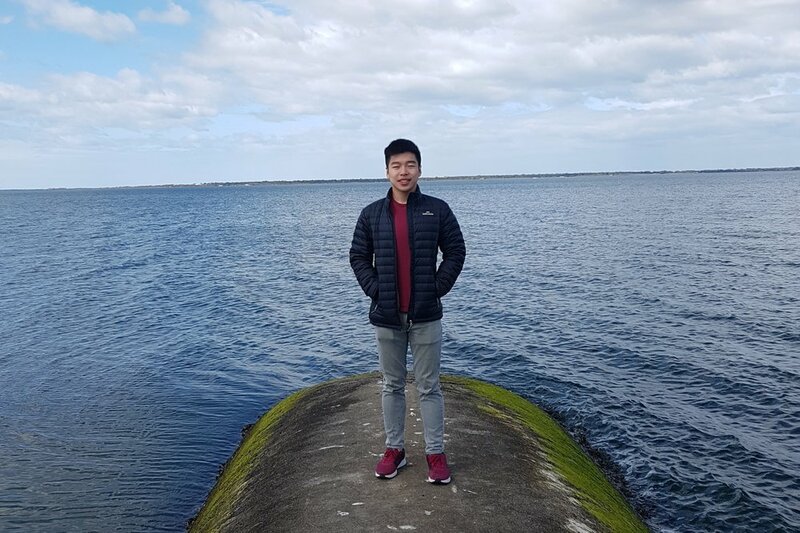 Henness is an international student from Hong Kong, enjoying the immediate proximity to the ocean and hiking trails at the University of Wollongong. Soph and Ruch live for a good time and are committed to a social program like no other. They can be found hosting a hella good pres, hungover at academics, hijacking your Spotify playlist or insisting on kickons. They take parties seriously, athletes of an elite sport per se and are busy planning 4 massive nights. They are so excited to meet you all in Sydney and promise serious fomo for slackers without rego. With Bec’s passion for small businesses and grassroots endeavours, Shreeya’s unmatched enthusiasm for hands on activations and sustainability initiatives, and their combined craze for puppies, good vibes and all things global health, GHC 2019 delegates are in for a treat. Get ready to make waves in your global health journey with F’immersion, a combined experience of immersive excursions for global health upskilling, as well as a Festival-style day where delegates can expect a tangible global health experience whilst enjoying live music, great food, and a relaxed community vibe. Like peas in a pod, Lindsay and Justine are all about brunch, aesthetics and colour schemes. They’ve been spotted at various social events chasing after the camera for the perfect insta shot, and love to hit the hay at midnight #wholesome. It has been well established that some find it hard to tell them apart, which can easily be fixed by just checking how tall each one is. With keen eyes for detail and sparkling hope for the future of global health, they aspire to make GHC 2019 the most creative and memorable one yet. Andrew is GHC19’s hackerman who spends his weekends hacking the Pentagon and other odd-numbered polygons. With many years of experience under his belt, he is extremely proficient at turning things off and on again.